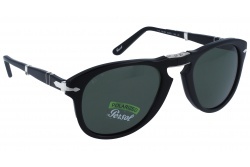 Lenses from Persol sunglasses have the best technology, allowing a perfect protection against the sun. Its lenses filter the radiation avoiding eye damage. One of their most emphasized collections is Steve McQueen, with sporty and elegant designs. 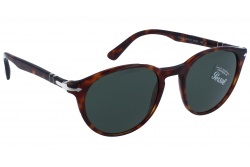 Among them Persol 714 stands out for its originality. Also, we can find more vintage models that allow choosing among a wide range. For example, Habanas originals can be acquired in different colours inspired in nature. Moreover, you can find the Contemporary Combination for a sophisticated look. 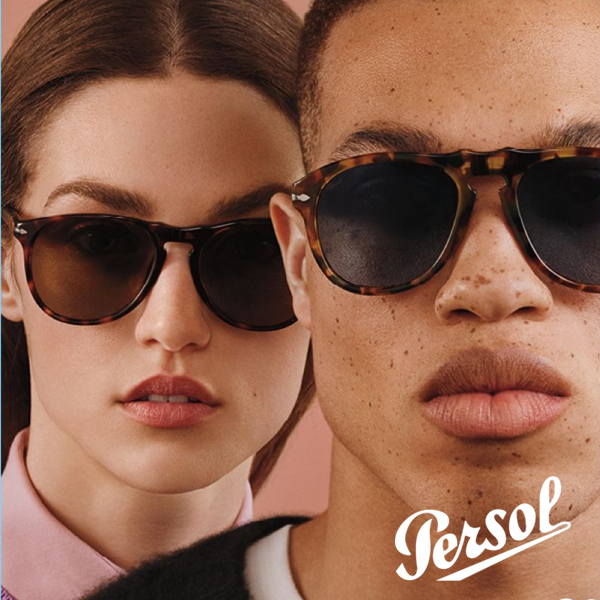 After years of investigation the brand Persol achieved high quality glasses, made with the best materials and the best technology. Persol glasses are handmade, taking care of every detail. 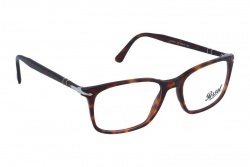 Its designs are manufactured with materials as acetate, very well polished to obtain soft finishings. Each model is made in different measures, so customers can find the perfect size for their faces. Furthermore, inside their line we can find models for both men and women. 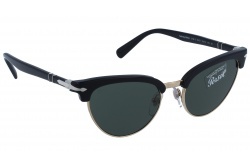 All Persol designs have an arrow as distinctive sign since the latest 30s.This symbol, inspired in the old warriors, makes the brand recognisable. The brand has both sunglasses and eyeglasses collections. 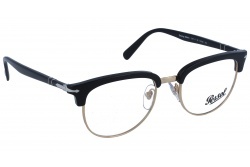 In this way we can find the 649 series, a round model with metallic frame, available in different colours. Furthermore, inside the catalogue we can also find 714 series. They have the characteristic of being foldable. In fact, this line was the first in the world on being foldable. 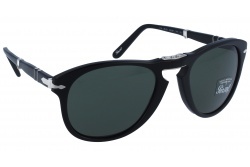 Finally, the model Cellor stands out, both as sunglasses and eyeglasses. Inside its collection the brand presents sunglasses for women. 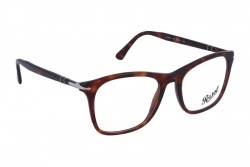 For example, in our web you can find round acetate glasses in brown , burgundy or blue color (Persol PO3204SM). If you want squared model you can find the retro model Persol PO3229S. 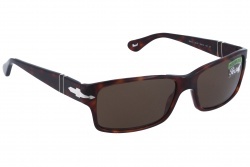 The brand has a wide catalogue of sunglasses for men. 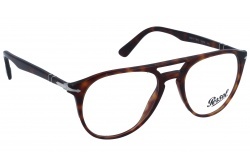 For example, we can find Persol PO3225S, with a squared design in black. 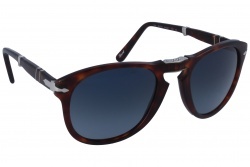 If you are looking for a more elegant model you can try Persol PO2458S, with a rectangular design in black and havana. You can also find the model PO0649, with the classic aviator shape which is the original model from the Italian brand. 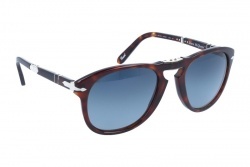 This 2019, Persol has launched the model in two new colors: burgundy and dark blue. Inside the brand’s eyeglasses catalogue we can find some special editions. For example, Typewriter Edition, inspired in type machines, or Reflex edition, inspired in vintage cameras. We also have Talloring Edition, timeless designs both for men and women, combining a sophisticated and modern style. 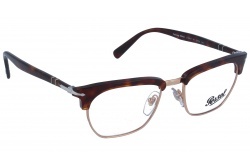 Furthermore, with the Galleria 900 collection we go back to the 40s, with elegant design that creates original glasses. 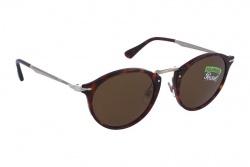 In our online shop you can buy all Persol collection at best prices. Our professionals will assess you during the purchase and will help you find the model that adjusts better to your style. In Turín, 1917, Giuseppe Ratti, photographer and owner of Berry Opticians started to design technologically advanced glasses. 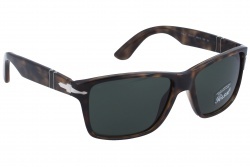 These models satisfied the necessities of many pilots that were looking for comfort, protection and perfect vision. After a lot of work the Protector glasses were out. This model had degraded lenses with rubber edges that can be adjusted thanks to an elastic band. This new model was distributed among the Italian Military Aviation and the Army. In the 20s the yellow lens is created, being available in all their glasses. In the 60s the brand created the Labor model, allowing the protection of the workers when welding. 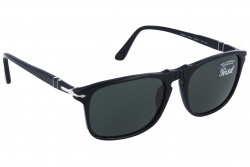 In 1990 the line Persol Sport was launched, being the pilot Jean Alesi the face of the brand. Many celebrities use Persol products, among them we can find Ryan Gosling, Jay Z or George Clooney. 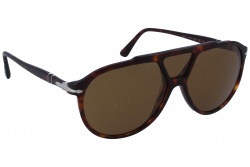 One of the most iconic actors of this brand is Steve McQueen and its Persol 649 in “The case of Thomas Crown”.